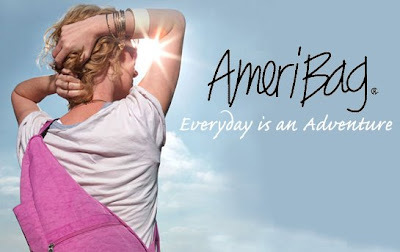 On top of the organization, the AmeriBag collections are all good for your back - whether to prevent back problems on young kids or help ease back strain for people who already have back problems, AmeriBag is the right choice for everyone! Comfort, organization and style. Those were the goals of AmeriBag® founders Irwin and Margery Gaffin as they embarked upon the process of developing a shoulder bag that could be comfortably worn by almost everyone. With the help of medical professionals, the Gaffins embraced this challenge. Margery had endured back surgery, and was excited about the opportunity to bring an innovative and helpful product to the marketplace. The result, the Healthy Back Bag® tote, was an overwhelming success. It features a patented, ergonomic design which feels lighter and more comfortable. The Healthy Back Bag® also features a highly organized interior which utilizes varied organizer pockets that are not only functional, but also provide optimum comfort when used properly. One peek into any AmeriBag and you'll see what they mean when they say that every bag has a silver lining! By contouring to the natural shape of the body, the Healthy Back Bag® tote hangs asymmetrically redistributing the weight through the length of the whole back, not just from one point on the shoulder, thus reducing stress on the neck, shoulders and back. It can be used as an everyday bag, carry-on, urban tote, baby bag, gym bag….or for the many ways you live your life. Since its initial development, the Healthy Back Bag® product line has expanded to include many new styles and features for virtually everyone. Here are care tips for leather AmeriBag bags (Classic Leather, Tuscany).